The update firmware wizard enables users to update or change the firmware on WaveForms Live compatible devices. Firmware can be pulled from the online repository or selected from the host PC. Current Firmware Version - Indicates the version of the firmware running on the device. Latest Firmware Version - Indicates the most recent firmware version available in online the firmware repository. Available Firmware Versions - Select the desired firmware version from the repository or Other to browser for a local firmware file. Status - Indicates the status of the firmware update or lists errors. Close - Cancel the firmware update and close the wizard. Update - Start the firmware update process. Progress - Indicates the progress of the firmware updated. Done - Available once the firmware update process is complete. 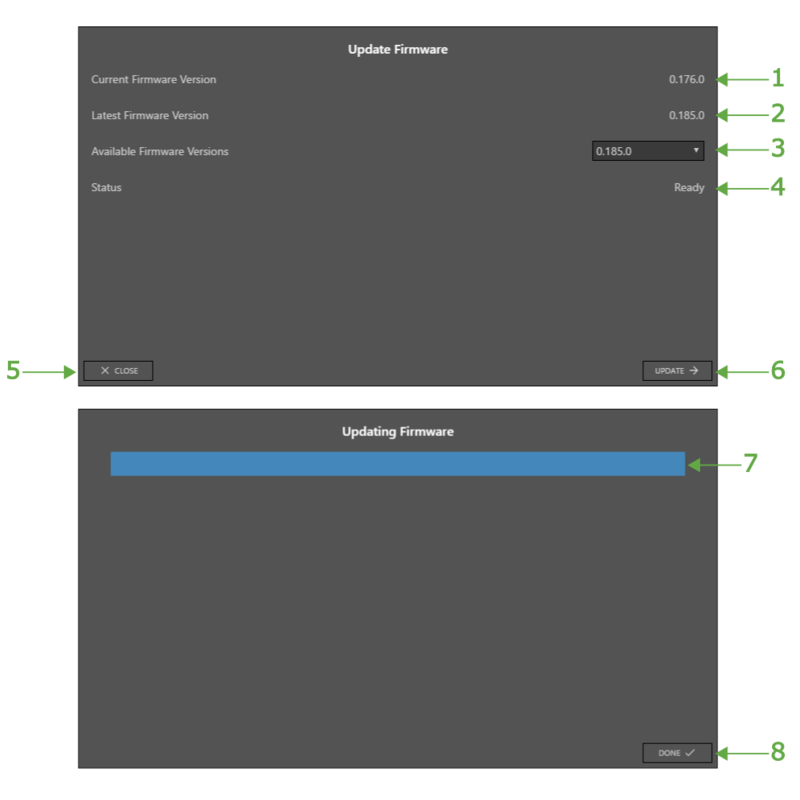 Click to close the firmware update wizard.